March 16, 2012 (Birmingham, MI): Melih Oztalay, CEO of SmartFinds Internet Marketing is guest speaker at the first Franchisee Sales and Marketing Summit (FranSummit) started by FranSummit founders, Paul Segreto, President and CEO of franchisEssentials, and Jeremy LaDuque, President and CEO of Elements Local, announced that on March 26, 2012. 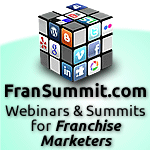 FranSummit will be the first of many major virtual events, exclusively designed for the franchising industry, to take place throughout the year. SmartFinds Internet Marketing (http://www.smartfindsmarketing.com ), an Internet Marketing pioneer for more than 20 years and leader in web marketing including Geographic Web Marketing and Local Web Marketing for franchisees, will present “Embracing Technology and Adapting to Change” by Melih Oztalay, CEO of SmartFinds Internet Marketing. FranSummit will be divided into four, one hour-long sessions spanning the length of four days, from March 26 until March 29. Each session will cover a different topic, with Paul Segreto facilitating and presenting alongside an expert guest on the subject of focus. Additionally, Jeremy LaDuque will present opening comments 15 minutes prior to each daily session and along with Paul Segreto, will also present a detailed summary of the entire Franchisee Sales and Marketing Summit at the conclusion of the last session. The Webinar Series are held daily, from: Mar 26, 2012 to Mar 29, 2012 11:45 AM – 1:00 PM CDT. All sessions will be recorded and available for download after the event. Both franchisors and franchisees are encouraged to attend. In addition, the event may be customized and branded for any franchise system to serve as instructional materials for later viewing. Registration to Franchisee Sales and Marketing Summit is currently open with a base price of $199 and a $50, early bird discount available until March 19. Group discounts are also available with a fee of $99 for 10-49 attendees, $79 for 50-99 and $59 for groups with 100 or more participants.